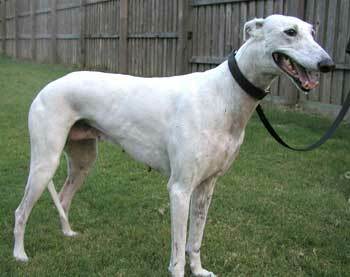 Rose is a petite beautiful white girl, who is suspected to be about 3 years old. She has no tattoos, and was found with Carrie as a stray in the Burleson area. 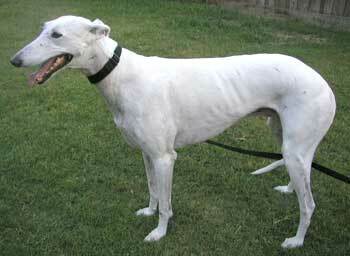 Rose is living in a foster home with two other greyhounds, and is a happy, happy girl. She loves attention and plays well with other large dogs, but Rose is not cat or small animal tolerant. 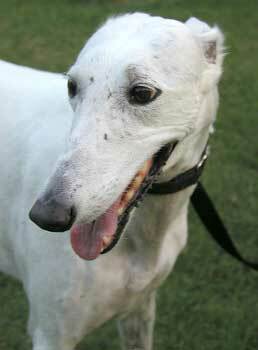 Rose tested positive for Ehrlichia when she came to GALT, and has now completed her medical treatment. Rose is a sweet, quiet girl. She spends much of her time napping, but does have bursts of energy. When not napping, she can be found racing through the house with her foster Greyhound brother and sister. She loves to be kissed and hugged and especially likes her ears rubbed. Rose would do well in a calm, easy going home with adults who love her.